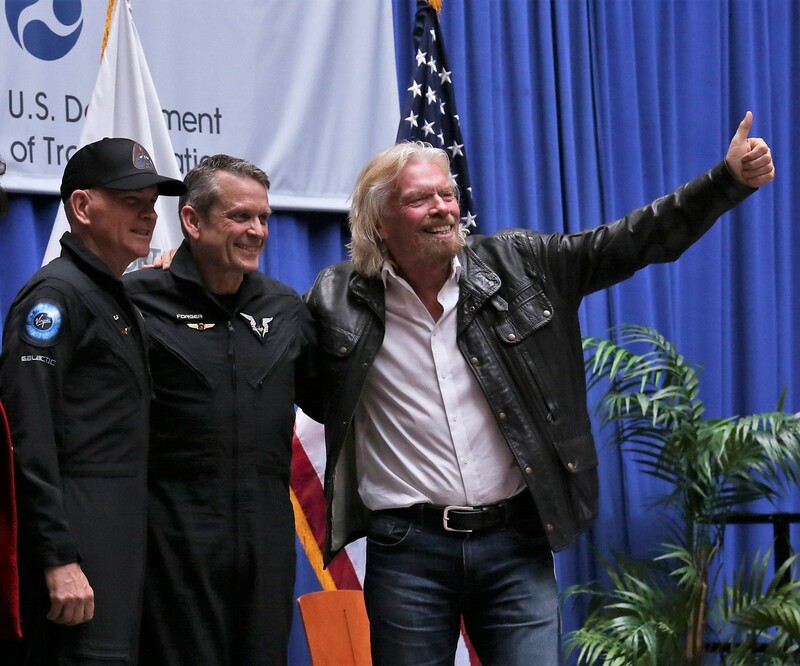 Two Virgin Galactic test pilots are now wearing the first commercial astronaut wings to be awarded since SpaceShipOne’s historic spaceflights in 2004. Last December’s test flight, piloted by Mark “Forger” Stucky and Rick “CJ” Sturckow in the SpaceShipTwo Unity rocket plane, was nearly as historic. It rose to an altitude of 51.4 miles, exceeding the 50-mile benchmark that’s used by the U.S. military and the Federal Aviation Administration for conferring astronaut wings. Stucky and Sturckow received their wings today during a ceremony at the U.S. Department of Transportation’s headquarters in Washington, D.C. Later in the day, the rocket motor that powered the pair past the milestone was officially turned over to the Smithsonian Institution’s National Air and Space Museum for exhibit. This entry was posted in GeekWire and tagged Astronauts, Commercial Spaceflight, FAA, Richard Branson, Space, Virgin Galactic. Bookmark the permalink.